Small businesses are the winners from the end of stamp duty on commercial property transactions under $1.5 million, come July 1. 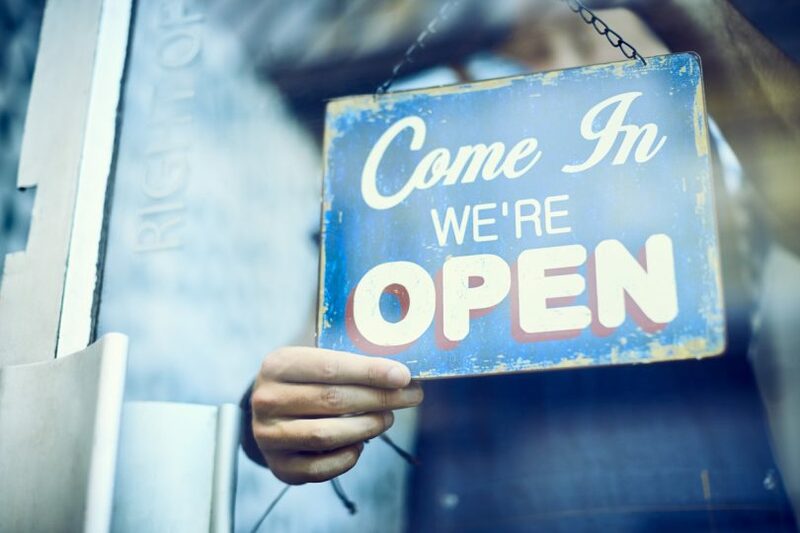 The phasing out of stamp duty on commercial property sales under $1.5 million come July 1 should help boost the number of businesses looking to buy their own premises, encourage investors and increase the ACT’s competitiveness, according to industry figures. Colliers International Manager Investment Services, Matthew Winter said the move would eliminate duty on around 70 per cent of all commercial transactions in the ACT, giving businesses more choice when it came to deciding whether to purchase a commercial property. Before July 2017, the conveyance duty on a commercial property of $1.45 million would have been $73,710; this fell to $35,550 from 1 July 2017 and will become zero on 1 July 2018. Laing+Simmons Commercial Managing Director Alex Smith said the stamp duty removal would help small businesses decide whether they could buy their own commercial premises. But he said buyers needed to make sure the fundamentals of their purchasing decision were right and treat the stamp duty saving as a bonus. “Buyers will save up to 5 per cent on a $1.5 million purchase which is $75,000. A healthy saving but buyers must still consider the fundamentals of their decision to purchase. While it will not be the catalyst for deciding to buy a commercial property under $1.5 million it will certainly help buyers make the decision if they are sitting on the fence,” he said. Retail Sales & Leasing Executive at Laing+Simmons Commercial, Chris Antos said small businesses would be the winners, including those in need of offices, restaurant and cafe owners, and retailers, whether they be owner-occupiers or investors. The move also encouraged local and interstate investors and provided an incentive for those focused on residential to consider the commercial sector. “In Canberra, there are a lot of residential investors but maybe those are looking to getting into commercial now. This is another reason for them to look at the commercial market as a possible investment opportunity just because the initial costs can be lower,” Mr Antos said. He said the duty abolition should also mean more affordable rents for small businesses because landlords would not need to pass on the charge. With the ACT leading the way in stamp duty reductions, the move should give the Territory a competitive advantage. “We’ve got a few Sydney investors who are looking in Canberra because the returns are higher so I think this is another thing that maybe will get on their radar, and if they can avoid these costs, and I haven’t seen this anywhere else in the country – it’s unique to ACT, which will be really beneficial for the Territory,” he said. Mr Antos said it would also make it easier to transfer titles and he expected to see a higher rate of commercial transactions. Generally, less red tape and one less barrier to purchasing property would be good for the ACT economy. Mr Winter said that with the rise of self-managed super funds being used to purchase commercial assets, the initial acquisition costs were greatly reduced. “Small business owners will need to weigh up if they want the control offered by owning their own premise – control in design and layout for example and from knowing what their mortgage costs are each month – or the benefits of renting, such as being able to move more easily if they need to expand and not be responsible for unexpected repair costs,” he said. I wouldn’t be congratulating Andrew Barr on his Payroll tax and small business thresholds changes introduced a few years ago. While 91% of small businesses and registered companies might be below the $2million threshold that he claims, Contract laws and government regulations don’t actually allow these companies to engage in work on projects outside of Payroll tax. If you’re a small Canberra electrician you are forced to go through a big middle man company and you will be charged Payroll tax. My wife had to do some contract gardening work for ACT Government, but could only get the work through a big company who had to pay GST and Payroll Tax. IT contractors are also forced to work via large companies on Panel. The small business thresholds that Mr Barr claims are ‘theoretical only’ they are not ‘reality’ for small business people in Canberra. Andrew Barr’s response also sidesteps the strange rules that leaves the prime contractor imposing the PRT on sub-contractors at the subcontract level. Which means, when working through a prime, I pay PRT on the entire amount my company gets paid, rather than just my payroll portion. Spot on DJA. It’s very duplicitous of Andrew Barr to try and claim that 91% of Canberra companies don’t pay payroll tax. Firstly, The design of the Payroll tax system in canberra and the tender and contract rules the government has put in place, forces small companies to provide services through large companies who are not exempt and therefore extract the PRT and GST from the small business. Secondly the big companies who get the work are not Canberra based in their company registration and don’t count in the 91% he is trying to claim. What he questionably claims as a Canberra company primarily includes not your typical profit making companies but SMSF and also not your typical money making companies that are registered in ASIC Connect against a household canberra address. It is outrageous for Andrew Barr to claim the tax free threshold of business as a positive amongst the Payroll Tax changes. The rules in ACT, especially when dealing with Government, force small businesses and contractors to work via a larger company or Union based company, otherwise we aren’t allowed to do the work. . I used to be able to do contract jobs myself for my own small company, now I am forced to work through a big company (thanks to Andrew Barr changing the goalposts). I now have to pay GST and Payroll tax on my earnings, before I even begin to pay income tax. Mr Barr’s tax changes hit me by 16.85%. But he has decided to spin the data to try and suggest this isn’t an issue. That's great news for small business owners in Australia! It's to try and keep Canberra business in Canberra, rather than moving to nsw to avoid the newly hiked most expensive payroll tax in Australia..
No hikes to payroll tax in the budget. The ACT’s payroll tax free threshold is now $2 million – the highest in the country, meaning 91 per cent of ACT businesses do not pay any payroll tax. Abolishing commercial stamp duty means the cost of moving a business to Canberra has been dramatically reduced. If you moved your business to NSW from Canberra you would have to pay the NSW Government stamp duty. No - your suggestion the the rate has increased is incorrect. The payroll tax rate in the ACT remains unchanged at 6.85 per cent and applies to total taxable wages that exceed the $2m payroll tax threshold. The $2m threshold is the highest in the nation and means that the bulk of payroll tax is paid by large national and multinational companies. Natalie Celia rather than misreading or misunderstanding a media report - let's go to the actual source - the ACT Budget Papers. This is where the reporter got his information. "Payroll tax is a tax on businesses that pay wages of more than $2 million per year Australia-wide. The payroll tax rate in the ACT is 6.85 per cent and applies to total taxable wages that exceed the payroll tax threshold." Andrew Barr ACT Chief Minister Well done.